About half of pension plan participants can choose to take their money in a lump sum when they retire. If you have that choice or are offered a buyout, what’s your best option? Securing guaranteed lifetime payments directly from your company pension plan would seem to be a no-brainer, unless you’re facing a financial emergency. But taking a lump sum and deploying it wisely can give you more control, and sometimes, more income. If you roll over the lump sum into a standard IRA, you’ll defer taxes on the distribution. Without a rollover, you’ll be hit with a big tax bill the year you receive a sizable sum. A rollover to an IRA can have real advantages. You get more flexibility and can control when you begin receiving retirement income payments and for how long. You can also start taking penalty-free payments as early as 59½ or you can delay them until the year you turn 70½ when you must start required minimum distributions. But that flexibility doesn’t help much if you can’t generate at least the same amount of secure income on your own. Even if your pension plan has the payout features you want, you should compare the income to what you could get with a commercially available annuity. Ask your employer for the amount of your lump sum and your monthly payments. Then, get income quotes from an annuity provider representing multiple annuity companies. This will let you make an apples-to-apples comparison. 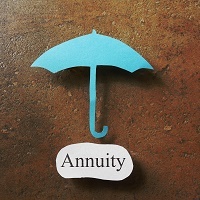 In some cases, taking a lump sum and rolling that over into an IRA and then purchasing an income annuity will provide greater income. If you can get a payout that’s slightly higher, it can add up to a lot of money if you collect payments for 20 or 30 years. There’s no magic in a company pension. Pension payments are based on the value of your account and an actuarial determination of your expected lifespan. Gender is typically not considered. Income annuities act like private pensions. In exchange for a single deposit, the insurance company will provide a guaranteed stream of income. An annuity is based on the same math as a pension, except the insurer does consider gender. That can disadvantage women because they are expected to live longer. You can choose how long the payments last. While most people choose a lifetime annuity, you can choose a set period, such as 15 years, and receive more annual income. This can be a good choice for people who have other income sources kicking in at a future date or who don’t expect to live to an advanced age. An immediate income annuity offers payments that can start anywhere from immediately to one year after purchase. With a deferred income annuity, you can delay payments for more than one year, and the longer you can afford to delay the greater the annual income will be. There’s also a comfort factor. How comfortable are you in letting your former employer control your retirement assets for the rest of your life? Some people feel more secure receiving a lump-sum rollover to their IRA, rather than leaving their retirement money with their former employer's pension plan. And sometimes there’s good reason for unease, because some pension plans are underfunded. Most pensions are protected by the Pension Benefit Guaranty Corporation, but only up to certain limits. A lump-sum payout transfers the risks associated with investment performance and longevity from the pension plan sponsor to the participant. But you can then transfer that risk to the annuity issuer. That’s the advantage of an annuity. You don’t need to invest the entire lump sum in an income annuity. If your income needs are met using only a portion of your lump sum, you can split it between an income annuity and a portfolio of mutual funds or indexed and fixed-rate annuities in an IRA. That combination can provide growth potential while also guaranteeing income. Retirement-income expert Ken Nuss is the founder and CEO of AnnuityAdvantage, a leading online provider of fixed-rate, fixed-indexed and immediate-income annuities. It provides a free quote comparison service. He launched the AnnuityAdvantage website in 1999 to help people looking for their best options in principal-protected annuities. More information, including updated interest rates from dozens of insurers, is available at https://www.annuityadvantage.com or (800) 239-0356.